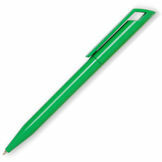 Zink Ball Pen, North West Supplier. 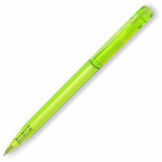 Slimline solid plastic twist action ballpen. We have a huge range of colours to choose from with several different finishes. Solid Colours can be found with the Zink Extra, or go transparent with the Zink Transparent. The Zink FT has a white barrel with a variety of coloured clips. Made from REACH certified materials.